Great news! Besides ICON, another new hair system has come onto the market. It’s HS27+, which is the improved version of HS27. Generally speaking, HS27+ is more natural looking than HS27. Different from our other stock hair systems with medium light density, HS27+ is medium density. If you need medium density, it’s the right one for you. The base of HS27+ is made of fine mono, super thin skin perimeter and a lace front. 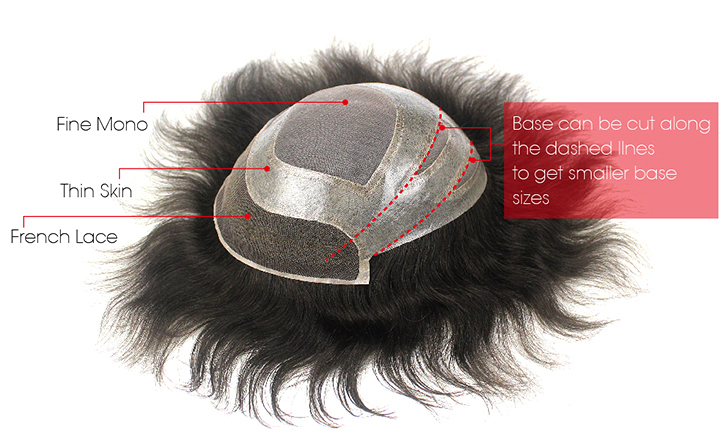 Fine mono with super thin skin perimeter creates a durable base, while the lace front gives a very realistic front hairline. Bleach knots are available on lace front, except with hair color #1. If you are interested in HS27+, please click the link below to view the product.